I was reading my RSS feeds tonight, when I stumbled on this article. I remember discussing this concept of cycles of history with both my mom, and my brother-in-law. Jame’s Delong’s description of the “Special Interest State” I think fits our current political climate very well (both Democrat and Republican). If you’re in for more depressing reading, I highly recommend reading the whole thing. It is characteristic of political arrangements that they go on long after an observer from Mars might think that surely their defects are so patent that they have exhausted their capacity for survival. The Special Interest State could get along quite well when it simply nibbled at the edges of the society and economy, snipping off a benefit here and there, and when the number of victorious interests was limited. But the combination of moral entitlement, multiplication of claimants, and lack of limits on each and every claim is throwing them into conflict, and rendering unsustainable the ethic of the logrolling alliances that control it. The guiding principle is that no member of the alliance will challenge the claims of any fellow member. But this principle has a limit, in that unlimited claims cannot help but impinge eventually on each other. The groups regard the economy as a commons, and each is determined to loot as much as possible for as long as possible, regardless of the long term. Rauch’s recommendation does not take account of the expansionist nature of the Special Interest State, however. If the evolution cannot be reversed, and the tendency toward expansion cannot be checked, and if at the same time the arrangements cannot expand forever, then we seem to have a paradox, because what cannot go on must stop. If the evolution cannot be reversed, and mechanisms of gradual adjustment are lacking, abrupt tectonic shifts are the only alternative. Change will not necessarily be violent, though that is certainly possible, but it could be sudden. If one characteristic of political arrangements is to continue longer than one might think possible, another is that when they change, they change with amazing speed. Of course, as he pointed out, bad political arrangements have a zombielike ability to keep moving long after they should by all rights be dead. As someone once said, “there is a lot of ‘ruin’ in a nation”, and I think the same can apply to any entity. So, while I may be one of those who is so talented that he accurately predicts “nine of the past three recessions” so to speak, I think that people assuming that things will always be thus, because they’ve been this way for a while are eventually going to be rather surprised. 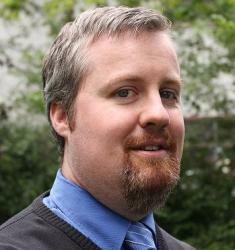 Jonathan Goff is a space technologist, inventor, and serial space entrepreneur who created the Selenian Boondocks blog. Jon was a co-founder of Masten Space Systems, and is the founder and CEO of Altius Space Machines, a space robotics startup in Broomfield, CO. His family includes his wife, Tiffany, and five boys: Jarom (deceased), Jonathan, James, Peter, and Andrew. Jon has a BS in Manufacturing Engineering (1999) and an MS in Mechanical Engineering (2007) from Brigham Young University, and served an LDS proselytizing mission in Olongapo, Philippines from 2000-2002. This entry was posted in Economics, NASA, Politics. Bookmark the permalink. Yes, the “Fourth Republic” is an excellent article, and a good primer for intelligent discussions on contemporary politics.